Have you ever looked in the mirror and wished you had straighter and more even teeth? Or smiled with your mouth closed when someone was taking your photograph? With todays advanced orthodontic and cosmetic dental treatments it is possible to have the smile you want; a smile that will enhance your self-confidence, appearance and the impression you make upon others. I like to ensure that my patients treatment plans are designed to enhance the whole of their face and profile. I call this higher level of care the ‘dental facelift’. 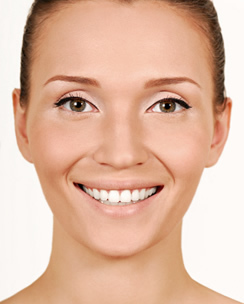 The dental facelift is a new concept in terms of how advanced dental treatments are becoming. I combine orthodontic treatments with facial rejuvenation techniques such as Botox™ to enhance the overall appearance of a patient’s face, restoring natural aesthetic balance and harmony. For example. Would you say a smile was beautiful if the teeth were perfectly aligned but the upper lip was too short; creating a ‘gummy’ smile effect? Or if the teeth were fine but the lips were too thin? I am able to correct these and other sorts of problems and achieve excellent results for my patients,with an individual treatment plan.